We offer a full range of property management services tailored to you as an investor, homeowner, or landlord. 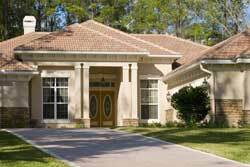 We have an extensive portfolio of single family homes, townhouses and condos in the Dr. Phillips area. Tenant complaints & problems solved by trained professionals. Nationwide referral and relocation prospects. Notices, past due, evictions completed in an efficient and timely manner. Calls returned in a timely manner. Monthly detail account and year end statements. Providing round the clock maintenance. Video taped and / or digital photos at inspections. Rent paid the 1st / rent late the 2nd. Clients protected through proper: lease agreements, deposits, forms, addenda, late notices and other legal documents. Handles all communication with tenants. 90% of our tenants pay on or before the 1st each month. 3-Day notice served after the 1st of the month. Full background check including: criminal, eviction, court records, credit report, residency and employment. Renewing existing leases at market rents. Marketing to over 75 websites. Attorney prepared lease at no additional cost to owner. Competitive leasing fee encompasses all marketing. Compliance with all federal, state & local fair housing laws. Federal Lead Paint & Radon gas disclosures. On top of the services we provide, we offer an Eviction Protection program at no cost to you! If ever a tenant we placed into your property doesn't pay rent and there is a need to evict, we will shoulder the court cost and lawyer fees up to $750 so you don't need to worry. Please return completed form to office with a voided check.